Rocky Mountain Animal Rescue is a nonprofit rescue organization that is 100% run by volunteers. All of our team members work full-time jobs in addition to volunteering with RMAR. Our rescued pets are currently located in Foster Homes throughout Alberta, BC and on occasion, Ontario. Please send in Adoption Application or email with inquiries. Our organization focuses on rescuing, rehabilitating, matching adopters to the perfect pet for their lifestyles. We rescue homeless cats and dogs, puppies and kittens, from some of the most unforgiving places within Canada, Mexico, California, and other places all around the world – including, but not limited to, Saudi Arabia, Iran, Kosovo, Turkey and Korea. Our motto is “Nowhere is too far… For RMAR”. Abandoned dogs and cats suffer from starvation, lack of companionship and exposure to the extreme weather conditions of Calgary’s reservations and dumping areas every day. Our goal is to rescue as many as possible, as well as provide the reservations with insulated dog houses, education and spay/neuter programs. There is no such thing as a humane death in Mexico dumping grounds and hoarder environments, where dogs are either mauled to death due to starvation in crammed conditions, or electrocuted to death. We are actively working with our sister sanctuaries to offer better resources and options in Tijuana. We are one of only a handful of Canadian rescues who actively participate in Natural Disaster relief and rescue. We hope to continue to be a leader in reuniting lost dogs and cats with victims of natural disasters, as well as provide temporary care for animals of family who have lost their homes, or re-homing for animals who aren’t so lucky. Thanks to Rory O’Neill’s experience in dog behaviour, our rescue specializes in rehabilitating and re-homing aggressive dogs. We do our very best to ensure that every dog that comes to us is worked with, either one-on-one or with Rory’s stable pack, until they are ready to be placed with a new family. Every adopter is given the opportunity to connect one-on-one with Rory at a discounted rate via Rory’s behavioural training consultation services. We are NOT a public shelter. Nearly all of our animals are placed in foster homes to benefit from a home environment where they can receive one-on-one rehabilitation in preparation for a forever home. All animal meetings must be requested by first completing an online application so we can coordinate a meeting between yourself and the foster family. 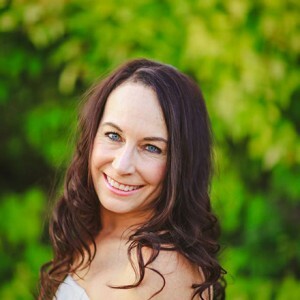 Rory O'Neill is a professional dog behaviourist and trainer in Calgary, Alberta, founder of Rocky Mountain Animal Rescue, and has been rescuing dogs and cats most of her adult life. After rescuing, training, and rehabilitating thousands of dogs, Rory has gained a vast amount of knowledge and understanding of canine behavior. Rory counsels pet owners about puppy education, training and prevention; how to solve dog behavioral problems; the importance of socialization, household manners, basic training, and how to be the leader of your dog and why it is essential.